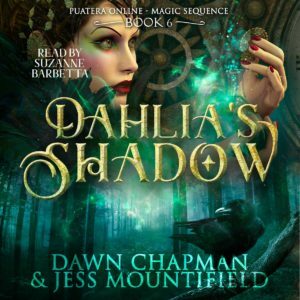 Thrilled to announce I’ll be narrating the audiobook versions of the continuation of Dawn Chapman’s Fantasy GameLit series Puatera Online! This part of the Puatera Online canon centers on 3 sisters caught in an online game gone glitchy. 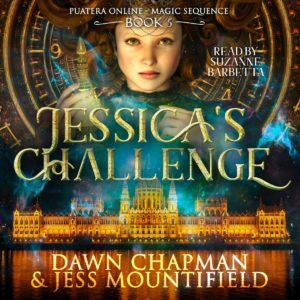 Audiobooks for Jessica’s Challenge and Dahlia’s Shadow are now live on Audible and iTunes. 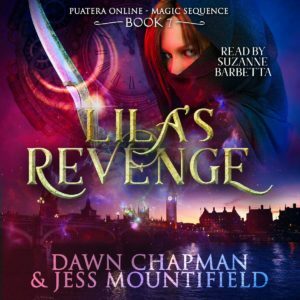 The 3rd Audiobook is due out by October with a bundled version of the 3 books to follow. Look at this gorgeous cover art by Sarah Anderson.